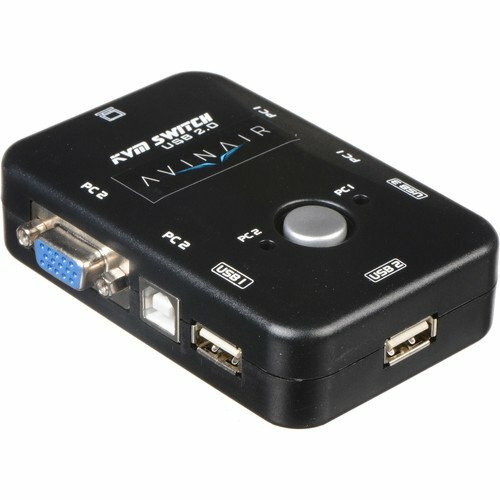 Use and control two computers on one monitor with this Avinair 2-Port USB KVM Switch. 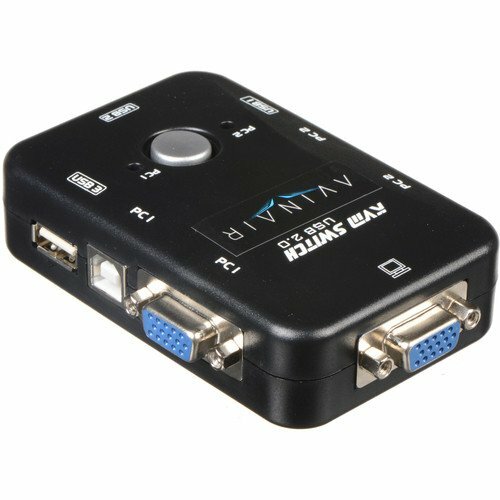 Two VGA ports accept video sources up to 1920×1440 in resolution, and each computer can be selected with the touch of a button. Computers are connected via USB Type-B outputs on the switch and can share peripherals, such as a mice and keyboards, plugged into its three USB Type-A ports. Since this unit is powered over USB, no external power supply is required. Box Dimensions (LxWxH):	4.2 x 3.2 x 1.2"